It was found that way. "Waaaaaahhh!! I lost my left arm!!" Servebot in the 2nd picture. "Waaaaaahh!! 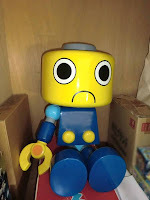 I lost my left arm!!" Reminds me of Toy story. Poor him. 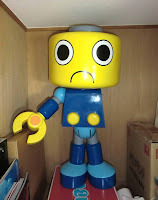 What ever happened to that Servbot they removed from the Capcom HQ? Both faces are actually on the same head, according to the description. One face is on the front, one on the back. 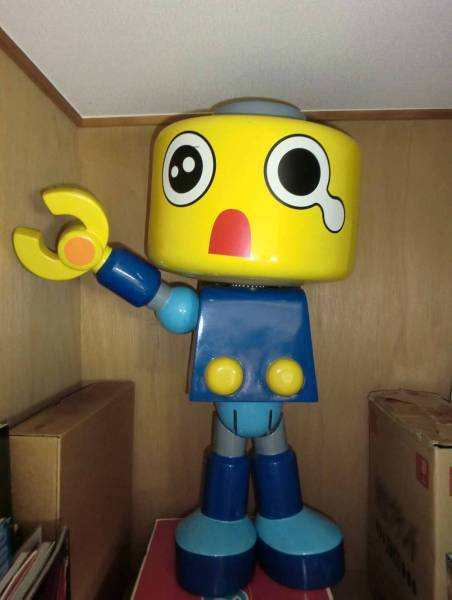 Even without the bidding going any higher (one bidder currently, so it will sell), after a proxy service + shipping, that's $500 for a broken Kobun :( Such an awesome piece to have, but so much money for something quite incomplete. Never have I seen a better face for the treatment Capcom has given the Legends series. 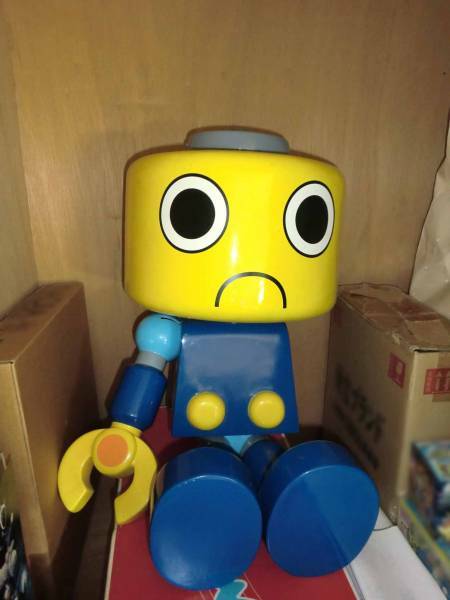 A discarded, one armed Servbot who's only worth is in the eyes of the fans . . .
Wow, that actually has me a bit choked up. 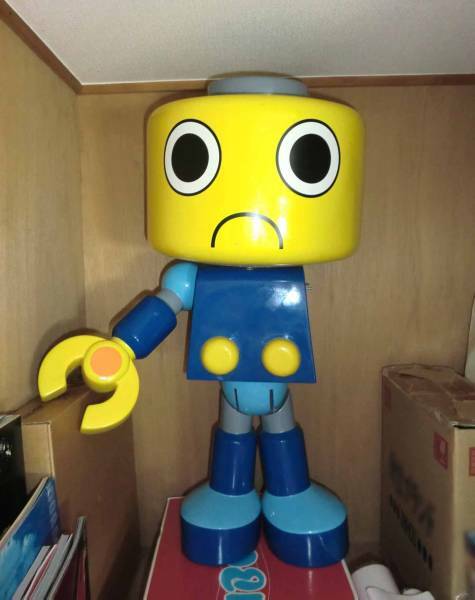 Why is this Servbot one-armed? Did someone want to cosplay this one as Gundam Exia Repair?